I'd be remiss if I didn't mention Austin Psych Fest, which starts tomorrow night. This is the fourth year, and third location, for the fest and promises to be the biggest one yet. What started as a way for, local psych-o's The Black Angels, to feature some of their favorite cohorts in psych has morphed into a full-on festival. Tickets are still available and may be purchased for individual days of for the entire 3-day event. 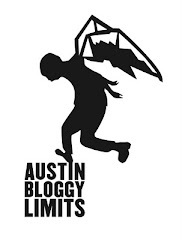 If I were wise, I would have started posting about this event a week or two ago and featured one band a day like I do for SXSW but in typical Bloggy-fashion I procrastinated and now I'm faced with a mammoth post. So, I think what I will do is break it down like this. I'll focus on, which day to buy for those of you who can only afford to attend one day, then I'll post videos from some of my favorite artists who will be hitting the fest this weekend. A Place To Bury Strangers plays Psych Fest Friday night. There are two stages at Seaholm Power Plant one of which, I presume, will be inside while the other is outside. I'm assuming "stage 2" is inside since they have bands performing at 2am on stage 2 and I'm pretty sure that violates some noise-ordinance. There are some great artists playing Friday night at Psych Fest but if I'm only going to buy a day ticket I'm not going to spend the money on the shortest day. Sorry, I'm just thinking frugal. However, if you're going to be buying a weekend pass (or already have) you should check out Omar A. Rodriquez, Tobacco, No Joy, Shapes Have Fangs, Crystal Stilts, Atlas Sound and Beach Fossils. However, you might also be interested in seeing Prefuse 73, Sleepy Sun, Indian Jewelry, and Young Prisms. All of whom, are also, playing Psych Fest on Saturday. Sunday, is the third and final day, of Psych Fest and it ends a bit earlier than the previous days but there is still enough Psychedelic Rock to melt your face and get your money's worth out of that peyote you bought. As I mentioned earlier, I feel like this is the day with the strongest headliners with both The Black Angels and, the legendary, Roky Erickson set to perform. Before Roky's set there is a mysterious unannounced performance, which I believe to be the ghost of Stevie-Ray Vaughn but that's just conjecture at this point. So, don't forget if you want to attend Psych Fest 4 this weekend you should snag some tickets and head on down to Seaholm Power Plant. Attire is business casual so bring a sport-coat but no tie is required.